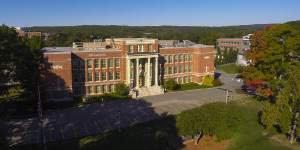 Worcester State University is one of nine publicly supported state universities in Massachusetts offering high-quality,affordable undergraduate and graduate academic programs. We are dedicated to promoting lifelong intellectual growth, global awareness, and career opportunities for our students in the traditional liberal arts and sciences, teacher education, biomedical sciences, business, and health professions. 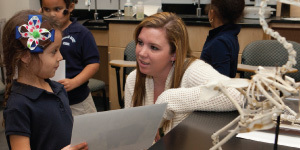 Worcester State University opens up a world of opportunity for active and engaged students. With nationally recognized programs, outstanding facilities, and an esteemed, dedicated faculty, we combine classroom and career preparation to give our graduates a powerful real-world advantage. Worcester State University providesexceptional resources for all students who are ready to challenge and advance themselves academically. We believe that academic support like tutoring, computer labs, advising, accessibility services, and an honors program are vital to our students’ achievements. Many students rely on our library for online and print scholarly resources and a place to study and collaborate. 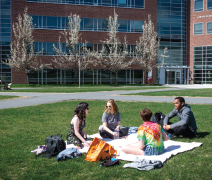 Life on the Worcester State Universitycampus is a perfect blend of community, culture, academics—and fun. Whether you are a residential or commuter student, you’ll have many opportunities to make friends, learn new skills, and discover new interests. With more than 35 clubs and organizations, you’ll gain leadership skills and make lifelong friendships. Worcester State University provides on-campus housing to approximately1,600 students and guarantees housing for four years in our award-winning residence halls. We are committed toproviding an inclusive living-learning environment. Our residence hall staff run the First-Year Residential Experience Program to help new students with personal, academic, and social transitions. All residential students participate in a variety of fun programs such as late-night activities every Thursday. Athletics are about more than just playing sports; they’re about learning teamwork, building confidence,and understanding competitive strategy. Our student-athletes strive tobe high achievers—on the field, inthe classroom, and in the community at large. Worcester State has nine men’s and 11 women’s NCAADivision III varsity teams and competes in the MASCAC, Little East, and ECAC conferences. Worcester State University is committed to providing the best-educated workforce and citizenry in the nation. From internships, research, clinicals, and practicums to community service learning and global opportunities, we provide invaluable hands-on experience that gives our students a competitive edge in the workplace after graduation.